The World Communion of Reformed Churches has urged its more than 225 member churches worldwide to examine their mission, education and investment relationships with Israel and Palestine in the light of the witness of Palestinian Christians. The resolution adopted at the WCRC General Council stated that the creation of the State of Israel in 1948 had a significant consequence of “the loss of homeland for the Palestinian people, and the creation of 750,000 Palestinian refugees.” It noted that it is also 50 years since the 1967 Israeli occupation of the West Bank, Gaza and East Jerusalem. The resolution instructed the WCRC Executive Committee to a call from the National Coalition of Christian Organizations in Palestine urging solidarity from Christian partners abroad. 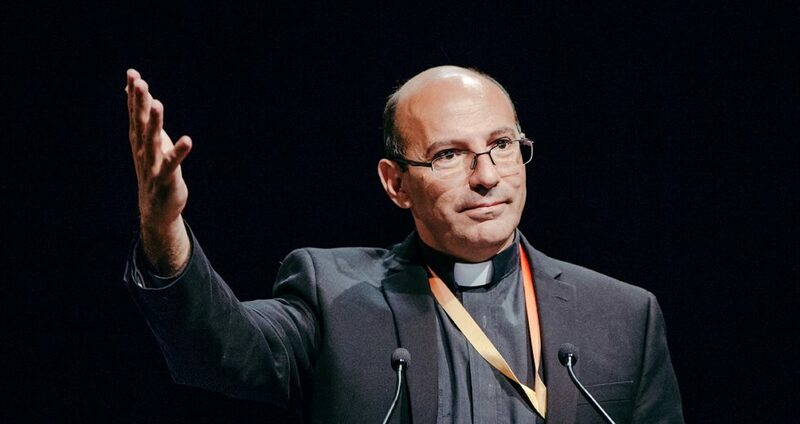 During the WCRC’s Leipzig meeting, which began on 29 June, a prominent Palestinian Christian from Bethlehem, Mitri Raheb, told delegates of his experience of having been 5 years old when Israel occupied Bethehem. “This was exactly 50 years ago. I know what living under occupation means,” Raheb said. The WCRC groups more than 225 Protestant churches with a combined membership of about 80 million Christians in Congregational, Presbyterian, Reformed, United, Uniting and Waldensian churches in over 100 countries. Its offices are in Hannover, Germany.